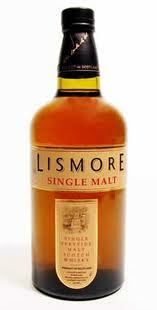 Trader Joe’s Scotch – Lismore Single Malt. Drinkable? The Trader Joe’s in the South Loop has begun to sell hard liquor. The selection is not very deep, but it is interesting and pulls together classic stock like Stoli, Hennessey and Bailey’s, as well as local spirits such as FEW white whisky, Next Star vodka and North Shore gin. But what most caught my eye were the Trader Joe brand exclusives. The grocery chain is famous for their private label wine – two buck chuck, anyone? – but this was the first time I’d seen a store negotiate their own bottlings of single malt Scotch. After poking around a little online, I found that while we may just now be getting this mystery hooch, California has had plenty of it for some time now and the reaction has been mixed. Independent casks of Glenlivet and Bowmore were panned (and mercifully do not appear these Chicago shelves), while two generic “Highland” and “Speyside” malts showed value, even in the lack of complexity.